An Eye For Detail: Fancy Finishing Touches You Need Now! 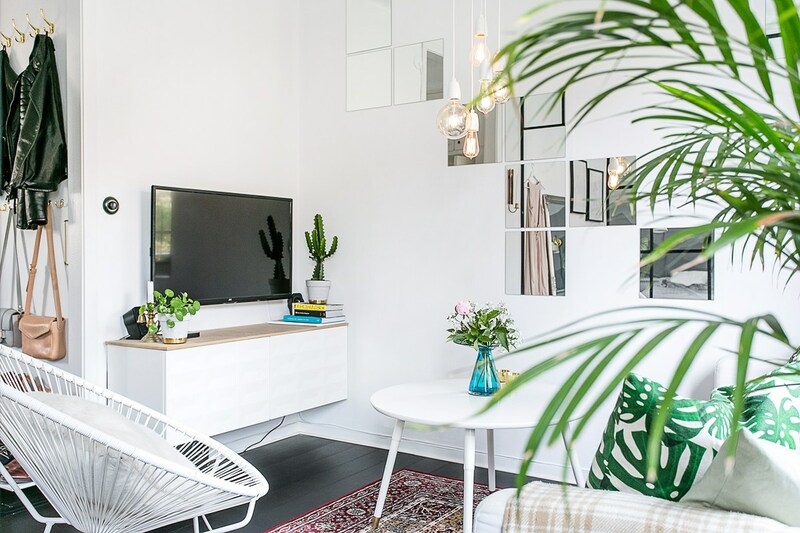 Decorating your home and creating a stylish, cosy pad is not just about choosing which colour to paint the walls or investing in a sofa to die for. Often, the finishing touches are the making of a home. If you’re looking to revamp your home for summer, and you don’t want to take on a load of work or spend a fortune, why not focus on the details? Here are some fancy finishing touches you need now! You’ve got a gorgeous sofa in the living room, a statement bed in your boudoir and a chic table and chairs set for your open plan kitchen-diner. You’re almost done, but you’re missing that je ne sais quoi. If you’re after that homely, lived-in look, it’s time to add some textiles and texture. Scattering rugs, cushions, blankets, and throws around your house can elevate it to the next level and make it truly Instagram-worthy. Drape a throw over a simple bucket chair in the dining room or pile the cushions high if you’re after a luxury hotel vibe in your bedroom. Mix and match patterns and prints if you’re going for a retro feel in the living room or add a shaggy rug to the hallway if you want to make your guests feel at home in an instant. You don’t have to spend a fortune on soft furnishings. You can pick up cushions covers and rugs very cheaply on the high street or have a look at second-hand auction sites online. You may think that incredible units and sleek, modern chairs are going to make all the difference in your kitchen. You might assume that your sideboard will be the talking point in your dining room. But have you ever thought about how the little things, like drawer knobs, coat hooks, and door handles could make your home different from every other house on the block? If you want to create a unique space that you love, paying attention to detail is a great place to start. Don’t go for the standard fixtures and fittings. Be different, be original, and don’t underestimate the impact the simple things can have. If you haven’t embraced greenery and foliage in your home yet, it’s time to celebrate the natural world and add a few vases of flowers and houseplants to your pad. Scientific research suggests that having plants in your home or office space can lift your mood and make you more productive, and they look great. They add a fresh, clean vibe, and you can channel themes and colours using pots, baskets, boxes, and planters. Fill a vintage wooden fruit crate with herbs or spider plants for a rustic look in the kitchen or go for a large plant in an oversized black fishbowl vase for a chic home office. If you’re interested in interiors, don’t use up all your energy and creativity on the main features in every room. Having an eye for detail can elevate your designs to the next level and help you create a stylish home that’s different to every other house on the street.